The Adriatic Riviera has loads of theme parks, and Rimini in particular has the two most child-friendly ones – Italia in Miniatura and Fiabilandia. Italia in Miniatura is on the outskirts of the city, and is an amazing model recreation of Italy (and some other European monuments). You can hop over from Sicily through to mainland Italy, looking at fantastic models of the famous buildings in Naples, Rome, Rimini, Firenze and much more. There are also lots of games to keep the less geographically minded kids happy. Fiabilandia is a theme park dedicated to younger kids – there are loads of great rides that the whole family can enjoy. A real treat, and great idea for families with younger children who might feel left out in the bigger theme parks. There’s also a Luna Park in Rimini – a fun fair old/style which makes for a great night out. 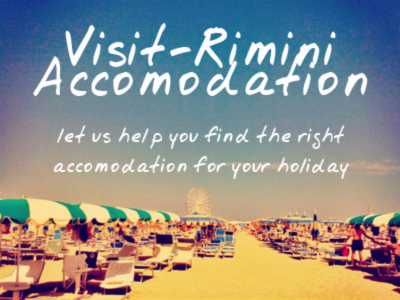 This sounds obvious, but it’s worth pointing out – one of the reasons that so many families choose Rimini for a holiday is because of the beach and sea. This part of the adriatic is definitely not the prettiest sea – for that you’d head much further south, to the coastline of Puglia for example – but it is amongst the safest, as it’s shallow, and there are lifeguards all along the Rimini beachfront. If you want you can also rent a pedalo boat, to easily reach deeper waters. Most of the beach facilities include playgrounds – and many have cool games like giant trampolines, ping-pong tables, beach volleyball and a variety of sports. Many of the beachfronts also have a kids club, with organised games, child minders and activities. Relaxing on the beach, Rimini style, means space for all the family to relax and enjoy themselves. Every Wednesday night, during the summer, a very special market takes place in Rimini’s Piazza Cavour. It’s a market where kids themselves set up stalls, in a giant flea-market, where toys are the main thing on sale. The Romagnolo spirit is entreprenurial, and this is where it starts. It’s a lovely atmosphere, and a good excuse to bring the kids around Rimini’s old town centre. There’s loads of history and culture to absorb in Rimini, but it’s not always easy to get kids to enjoy these things is it? Well, the Domus del Chirurgo is the perfect answer. The well preserved mosaics of a Roman villa are on show in a space age visitors centre in Piazza Ferrari. Kids will love walking around the visitor centre, on the glass walkways suspended over the ancient Roman ruins. And to top it off, there are some great bars and ice-cream parlours a stone’s throw away for afterwards! Rimini is famous for its big events, particularly during the summer – events like the Notte Rosa or the Molo Street Parade, but it’s typical of the city that one of its biggest events every year is the Rimini Cartoon Club. In the middle of the summer this fantastic festival includes films, workshops, special appearances by Cartoon Characters and much more. Kids love fireworks, right? And Rimini is the place to check out amazing firework displays throughout the summer. It’s not just the big events that have firework displays – although the Notte Rosa is simply spectacular, with synchronised displays all along the Riviera coast – lots of smaller, local events put on firework displays that are truly thrilling. One of Rimini’s newest and most popular attractions is the giant panoramic wheel down at the port. The Rimini Ruota dominates the beachfront skyline, and is positioned perfectly to give you an amazing view as you soar up into the sky. In particular, it gives a beautiful view inland, up the port canal into the old city of Rimini and out towards San Marino and San Leo. A wonderful treat for any kid. This entry was posted on Thursday, July 9th, 2015 at 5:24 pm You can leave a response, or trackback from your own site.